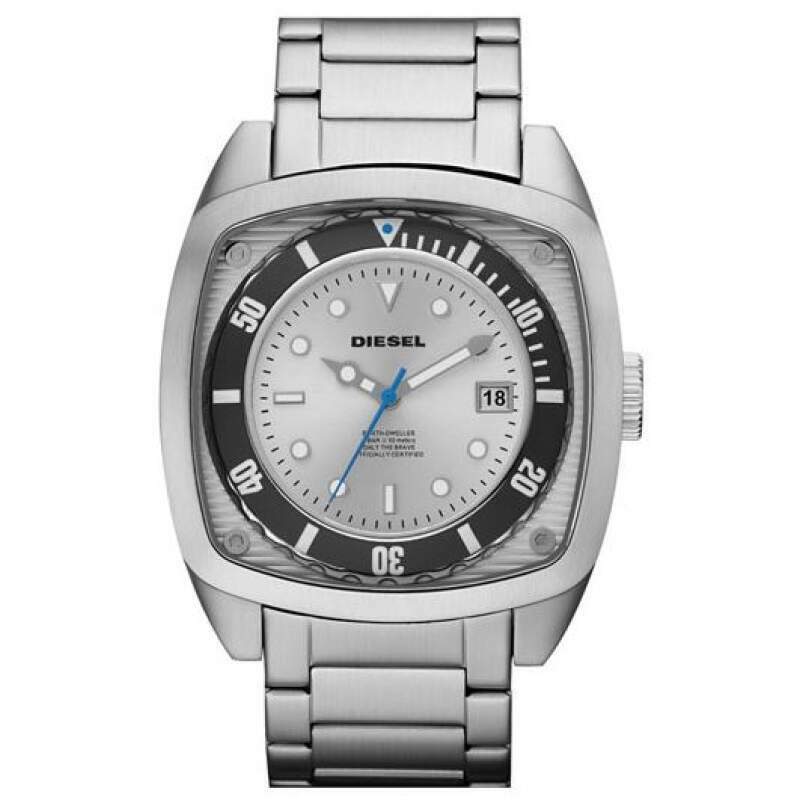 Arrive on time with this bold watch from Diesel. 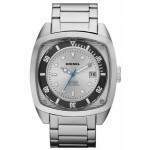 It features a stainless steel case and a cool grey three-hand dial. A stainless steel bracelet strap finishes the look.